Series of Experimental Vehicles (VE's), each named after precious stones, leading to the MSBS/SSBS solid propellant missiles that made up the French nuclear deterrent. In 1959 French President de Gaulle approved development of a national deterrent force that included silo-based and submarine-based solid propellant ballistic missiles. A series of test rockets, based on available French solid propellant motors, would be necessary to prove thrust vectoring, solid propellant chemistry, control, guidance, and re-entry vehicles for the operational missiles. In September 1959 SEREB (Societe pour l'Etude et la Realisation d'Engins Balistiques) was created as a private company for development of these test vehicles and ballistic missiles. A basic ballistic research (EBB) program was carried using a series of Experimental Vehicles (VE's), each named after precious stones. 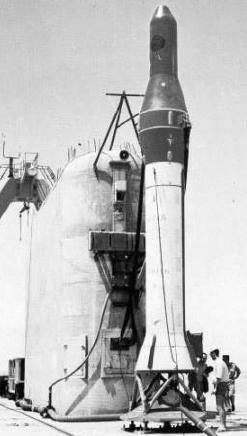 These were flown in the 1960's, with a short-term result being the Diamant, France's interim satellite launch vehicle. Family: test vehicle. Country: France. Agency: SEREB. Bibliography: 2, 572.